Home / Concert / Japan Music Festival / JMF / KPP / KPP Nanda collection world tour / Kyary Pamyu Pamyu / Singapore / KPP Press conference to be held at Funan and you are invited! 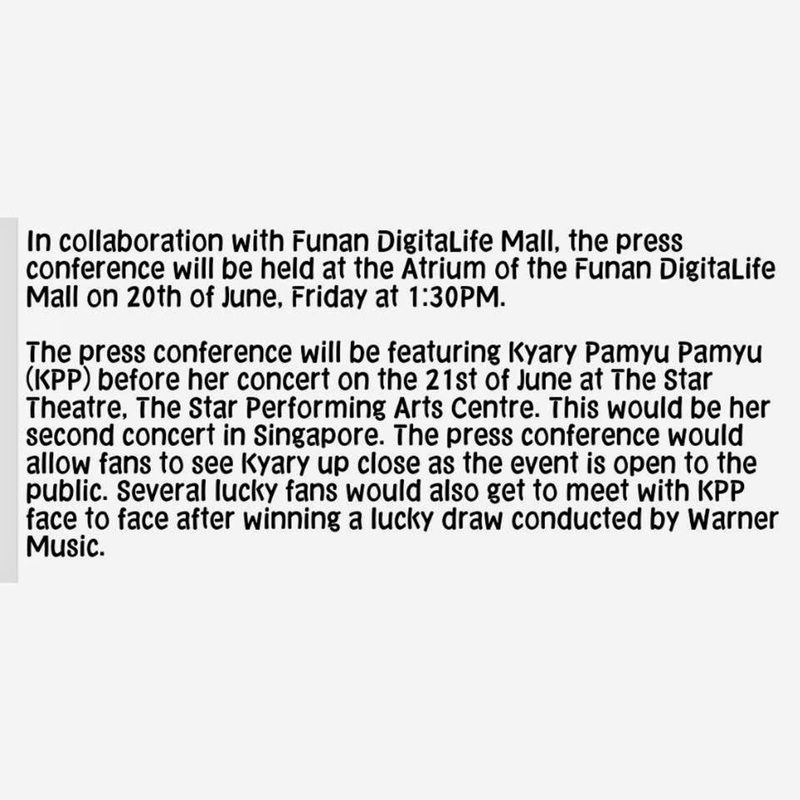 KPP Press conference to be held at Funan and you are invited! KPP fans rejoice! This year the press conference for her Nanda Collection World tour(Singapore) is going public! Here is your chance to get up close and personal with her! When:Friday,20th of June 1330 hours. Do make yourself free on that day! I am sure Kyary will be looking forward to meet her Singaporean Fans!